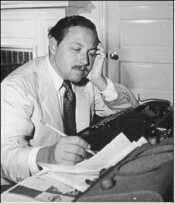 One of Americas greatest playwrights, and certainly the greatest ever from the South, Tennessee Williams wrote fiction and motion picture screenplays, but he is acclaimed primarily for his playsnearly all of which are set in the South, but which at their best rise above regionalism to approach universal themes. Thomas Lanier Williams was born in Columbus, Mississippi, on March 26, 1911, the first son and second child of Cornelius Coffin and Edwina Dakin Williams. His mother, the daughter of a minister, was of genteel upbringing, while his father, a shoe salesman, came from a prestigious Tennessee family which included the states first governor and first senator. The family lived for several years in Clarksdale, Mississippi, before moving to St. Louis in 1918. At the age of 16, he encountered his first brush with the publishing world when he won third prize and received $5 for an essay, “Can a Good Wife Be a Good Sport?,” in Smart Set. A year later, he published “The Vengeance of Nitocris” in Weird Tales. In 1929, he entered the University of Missouri. His success there was dubious, and in 1931 he began work for a St. Louis shoe company. It was six years later when his first play, Cairo, Shanghai, Bombay, was produced in Memphis, in many respects the true beginning of his literary and stage career. Building upon the experience he gained with his first production, Williams had two of his plays, Candles to the Sun and The Fugitive Kind, produced by Mummers of St. Louis in 1937. After a brief encounter with enrollment at Washington University, St. Louis, he entered the University of Iowa and graduated in 1938. As the second World War loomed over the horizon, Williams found a bit of fame when he won the Group Theater prize of $100 for American Blues and received a $1,000 grant from the Authors League of America in 1939. Battle of Angels was produced in Boston a year later. Near the close of the war in 1944, what many consider to be his finest play, The Glass Menagerie, had a very successful run in Chicago and a year later burst its way onto Broadway. Containing autobiographical elements from both his days in St. Louis as well as from his family’s past in Mississippi, the play won the New York Drama Critics’ Circle award as the best play of the season. Williams, at the age of 34, had etched an indelible mark among the public and among his peers. Following the critical acclaim over The Glass Menagerie, over the next eight years he found homes for A Streetcar Named Desire, Summer and Smoke, A Rose Tattoo, and Camino Real on Broadway. 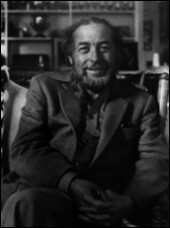 Although his reputation on Broadway continued to zenith, particularly upon receiving his first Pulitzer Prize in 1948 for Streetcar, Williams reached a larger world-wide public in 1950 when The Glass Menagerie and again in 1951 when A Streetcar Named Desire were made into motion pictures. Williams had now achieved a fame few playwrights of his day could equal. Over the next thirty years, dividing his time between homes in Key West, New Orleans, and New York, his reputation continued to grow and he saw many more of his works produced on Broadway and made into films, including such works as Cat on a Hot Tin Roof (for which he earned a second Pulitzer Prize in 1955), Orpheus Descending, and Night of the Iguana. There is little doubt that as a playwright, fiction writer, poet, and essayist, Williams helped transform the contemporary idea of the Southern literature. However, as a Southerner he not only helped to pave the way for other writers, but also helped the South find a strong voice in those auspices where before it had only been heard as a whisper. Williams died on February 24, 1983, at the Hotel Elysée in New York City. The U.S. Postal Service honored Williams on a stamp in 1994. Click on image for larger view. 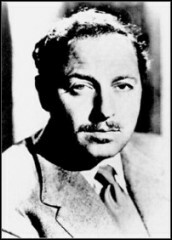 Baby Doll is one of several Tennessee Williams movies named the 100 greatest films at Filmsite. This page has been accessed 15842 times. About this page counter.